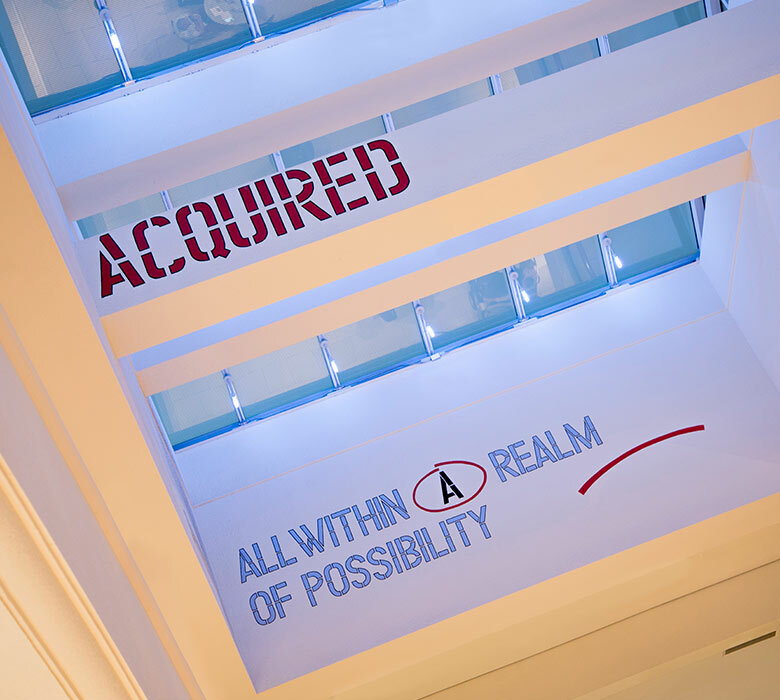 Lawrence Weiner is one of the central figures of Conceptual art whose work challenges traditional assumptions about the nature of the art object. In this site-specific commission, Weiner points to the actions and materials that people use everyday; each beam in the work expressing a shift in mood and intention, and representing another stage in the equation that Weiner has set up. In describing the installation in a recent interview he noted, "It's a matter (of) how we give value to things. Everything that can be admired is within the realm of possibility." The installation is presented in both English and Spanish as a nod to South Florida's international population. A mid-career retrospective of Weiner's work was featured at the Whitney Museum of American Art in New York in 2007-2008.